Could it be two weeks already since our women’s retreat. I look at my planner and it most surely is. Last year our retreat was cancelled when the church camp was closed for the winter and until May. Our retreat, originally Mount Zion Lutheran Women’s retreat, is always held in late April and has been held at Camp Edgewood at Eden Mills, ON, for many years. 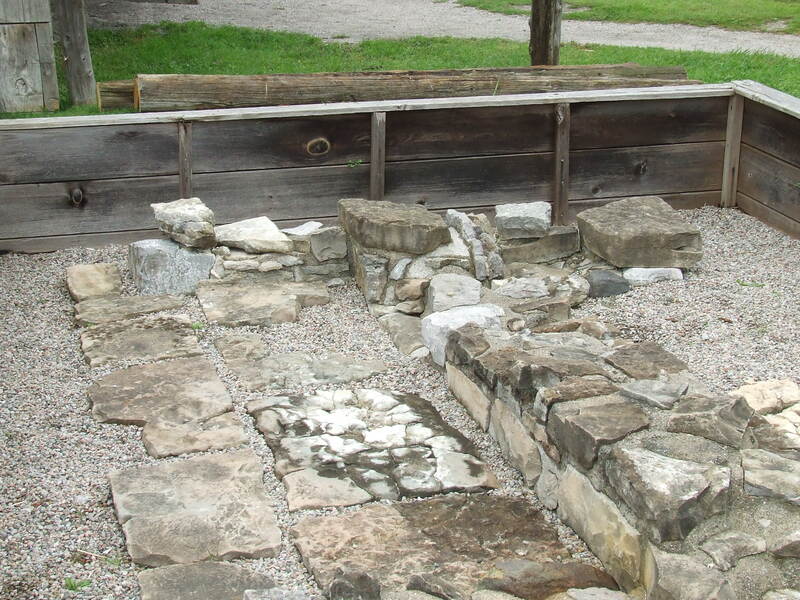 This year we were in for a treat because we were at Stone House at Hidden Acres near Shakespeare, Ontario. We ate, gathered and learned in this building, and the accommodations were good too. We had time to explore the camp in free time as well, so we weren’t indoors all the time. Our theme for the weekend was “Seeing God in Surprising Places.” We arrived early evening on the Friday, unpacked our gear and food contributions, dug out our Bibles for worship and greeted each other. It had been two years since our last gathering so it was good to see each and catch up on what’s happened in others’ lives. Among them were two newcomers to the group, and they came with musical instruments. What’s the dream/project or vision you feel called to in this time of your life? What is one tangible part where you can start where you are? In small groups we talked about seeing God not only in church, but also in the community and where we’re asked to serve. Where do you see assigned seating? In the world there is assigned seating, but in the kingdom of God, there is not. Saturday morning, we gathered again for discussion and worship. And we changed our seating arrangement often that weekend. As women, we are called upon for many roles. We’re often wives, mothers, sisters, care givers. Add in work commitments and we may be business owners, employees, and in my case, a writer too. We often have many identities. We talked about identities that we carry around. Some of the questions we were asked included: Which ones need to shrink? And which ones need to grow? Pastor Anne kept adding on layers of questions for us to discuss in our small groups: When does one identity fight for prominence (my own words) over another? Pastor Anne Anderson, our spiritual director for the weekend, handed out nesting Russian dolls for us to open until we reached the smallest one. The last one was indeed very tiny. Most dolls of this sort that I’ve seen before were similar to this one, where all the dolls are modelled after women and they get tinier and tinier as we open up one layer after another. I had never seen the kind that housed different characters within. If Jesus could talk with you personally today, what is the message he would give you? Consider that question any time and come up with your own answer. We followed the discussion about identities with an activity. After lunch we did a craft directed by Helen Weber. Here’s one example of our journal and jar with journal topics. We ate, we laughed, sometimes cried as we shared things in our lives, knowing that what we said in confidence in the group stayed there. We enjoyed each other’s company. During spare time, we went outdoors for a walk and enjoyed nature. A new person to the group. We sat on the swings and chatted. We both love to take photographs. And some of the time we just sat and visited. How do we celebrate who we are? And how do we live that out in a diverse society? Maybe I had dialed incorrectly. I tried again, only to get the same message. It was a puzzle. I knew she had not been well and I thought back to our conversation in August when she told me that she didn’t know how much longer she could keep going. Her health was not good, with a mix of diabetes and heart and lung problems. She seemed to be just hanging on and though she was still in her apartment, she was receiving daily help. Had she been admitted to hospital? Was she in a nursing home, unable to communicate? Had she suffered a stroke? So many thoughts raced through my head. My heart rejected the other possible option—that she had died— but in my mind I knew it might be possible. I told my husband about the call and my concern for her, and so late that evening he did a google search for her name and came up with the answer. He told me next morning that he had found the shocking news. I opened the email, hesitating, and then clicked on the link. There it was on the funeral home website, her obituary. It had been months earlier. A beautiful photo of her and a very short obituary saying she is “survived” by, and a list of her children and grandchildren, as well as two great grandchildren. How could I have missed that? I went back to the obituary notice. There was no mention of a funeral service nor a time of visitation, but it stated the cemetery where I knew they had a stone. I had been there when she asked me to take her awhile after her husband had died, and so we had gone there one cool fall day. There may not have been any mention in the newspaper, and because her adult children, whom I’ve never met, seemed to be always at war with each other, there would be no one, except her brother, to notify me. I had received no such call or a message of any kind, nor would I be first on their minds or even in their list of “people to be called.” When I got past the fact that she had died, I learned that her life had ended just days after my friend Susan, whose life we celebrated in August. Tears flowed freely down my face. Another friend lost to 2015, but one where I could not console her family nor celebrate her life in the formal way. It occurred to me that she might not have requested a traditional visitation and memorial service. Who would have performed her last rites, or did she even get that option? My daughters reminded me that even if I couldn’t be there at the time, I could still make a donation or do something. I looked into laying a spray of greens on their cemetery plot, because Christmas was one of her favourite times of year, but no such thing was allowed. It would have to be a particular style, and so I discarded that idea for making a donation in her name. Here I am, only a few weeks away from her January 1st birthday, when she would have turned 72, when I traditionally called to wish her a happy birthday. I’ll have to commemorate her in a different way, by telling stories or writing about our friendship and what she meant to me. I’ve already shared the story of our first meeting with our youngest daughter and another friend. The rest will come in time, but for now, I know that she’s without pain and suffering. My prayers, as I pass the apartment building where she lived, have been for her children and for a peaceful spirit for her. I have no photo to share except for the link to the funeral home that posted her last photo, but I printed out the photo and notice for my own remembrance. I do have one consolation there, that she knew God and prayed often. She told me so. And she often thanked me for things I had done, such as taking her to appointments, picking her up after a hospital procedure, taking her places, including to our home to sit and have a cup of tea outdoors and just enjoy looking out at the garden. I think her body was just too tired to go on. Our goodbye was that last call in August. An uneasy message, but there you go. Sometimes that’s all a friend will have, apart from good memories. Goodbye, Pat. Rest in peace. All photos on this blog are copyright of C. Wilker unless otherwise mentioned. You may not think you’re on a stage, but really you are. While you might not be acting to earn your wages, people still watch what you do, how you behave. Think of all the people who have been part of your life for a short or long time. Friends who seemed to disappear from your circle when they moved away or when life circumstances changed for one of you and you were no longer able to spend time together. Or a friend died and you seemed cut off from the family since you were merely a friend and not family. Many exits and entrances indeed. May God give you much peace and joy this season in the middle of wherever you find yourself. Waiting makes us exercise patience. What or who made you wait today? 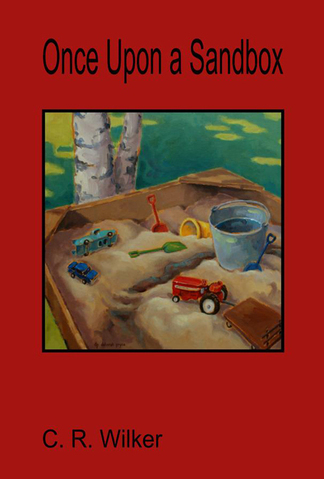 Perhaps it was waiting for your children to get dressed for the day, to come to breakfast, to tidy up toys. Or it may have been waiting on someone who is recovering from illness or injury. 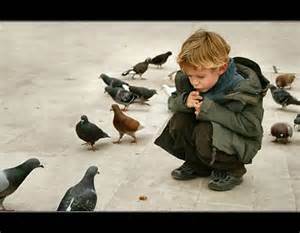 Waiting on a bus, waiting on a park bench, or waiting, like the boy in the picture, for the birds to come and eat the treat you left for them. Our journey is full of rest stops…that signal the arrival of things we anticipate. Sometimes, they’re worth the wait. Recently, I had the opportunity and privilege to join Maranatha Lutheran Church on their yearly bus trip—this time to Midland and the Martyr’s Shrine. 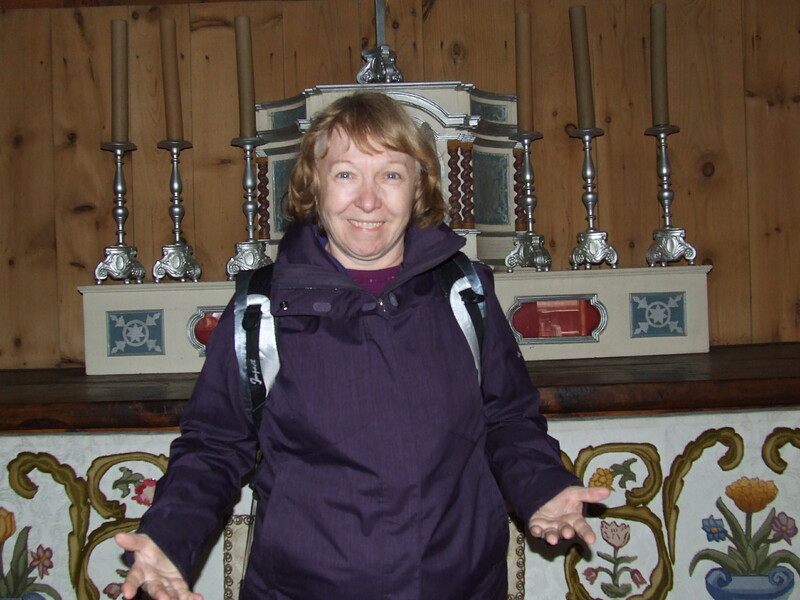 The Sunday was Holy Cross Day, which their pastor, Peter Kuhnert, said was a fitting trip on such a day. 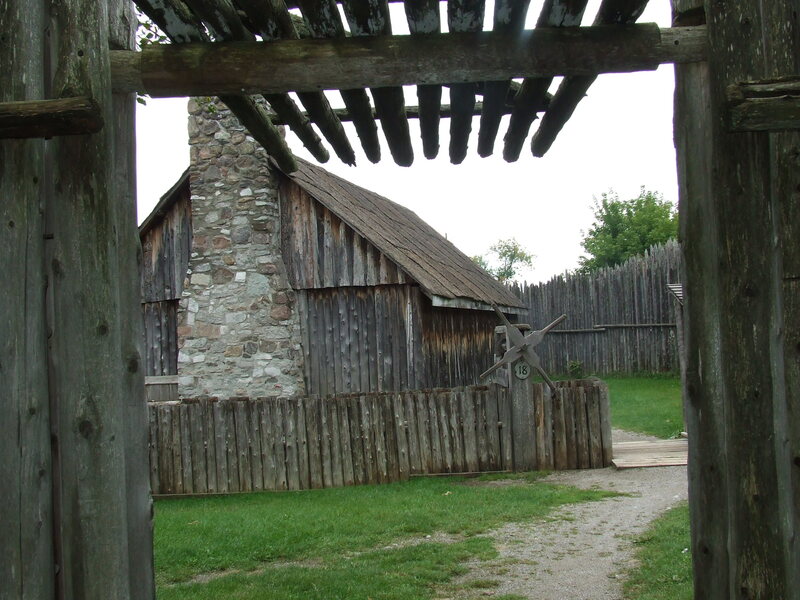 We left St. Philip parking lot only a few minutes after our proposed departure time, and with a prayer for safe travel and thoughts to ponder if we had been living at the time of the Jesuit missionaries to the Wendat people, whom the priests came to call the Hurons. On the way there, for the first while, we watched the scenery go by and chatted with our seat mates. Mine was Marilyn from St. Philip, whom I got to know a little better as she knit away on a prayer shawl. I was beginning to think that was a good way to pass the time but two of us knitting in the same seat might not have worked so well. Tradition on their bus trips includes singing their way to the destination and so we sang favourites of Maranatha members. As well as those songs, we sang the Huron Carol, written by Father Jean de Brébeuf in the 1600s. Pastor Peter Kuhnert also gave us some history on the settlement. We’ve arrived at the site. Now for the bus driver to park and for all of us to get off the bus and embark on this adventure. 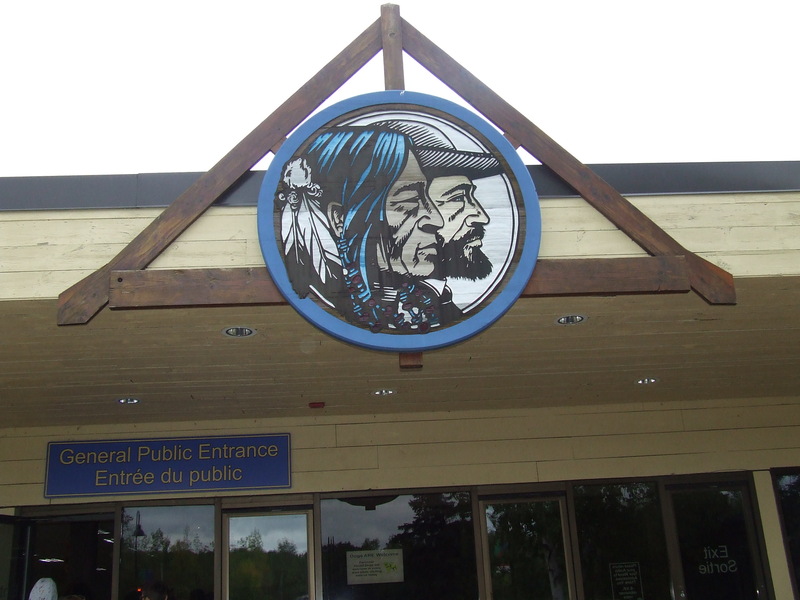 Here we are at the welcome centre where we watched a video about the work of the Jesuits among the Wendat people. 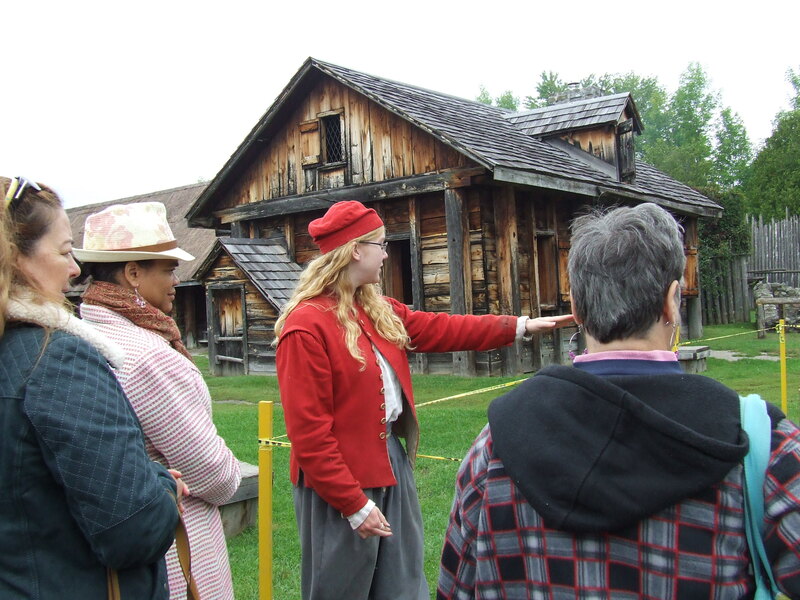 Coming to this place in the 1600s meant travelling by ship across the oceans, then by canoe and portage until the group reached the settlement. 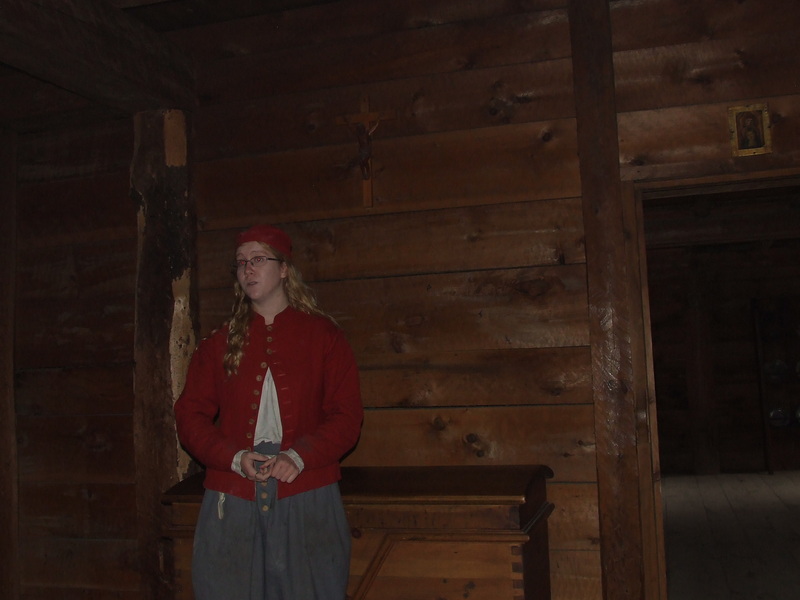 Our tour guides Emily, dressed as a French worker who would have come along with the priests, and Autumn (behind the desk), clothed in typical garb of a native woman at the time (mid 1640s). 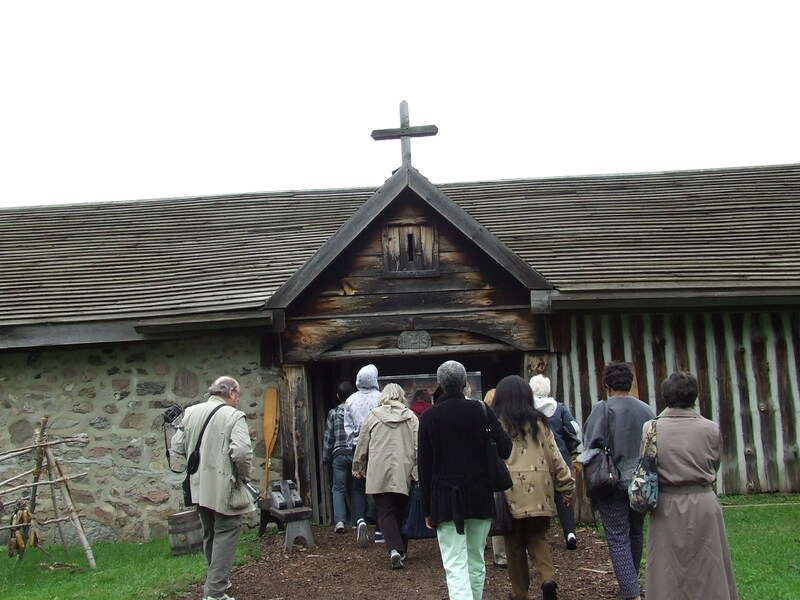 Having toured the Canadian Canoe Museum in Peterborough this past summer, I recognized that canoeing and portaging at that time would have been quite the journey for priests who probably weren’t used to such rustic conditions, unlike the Wendat people. 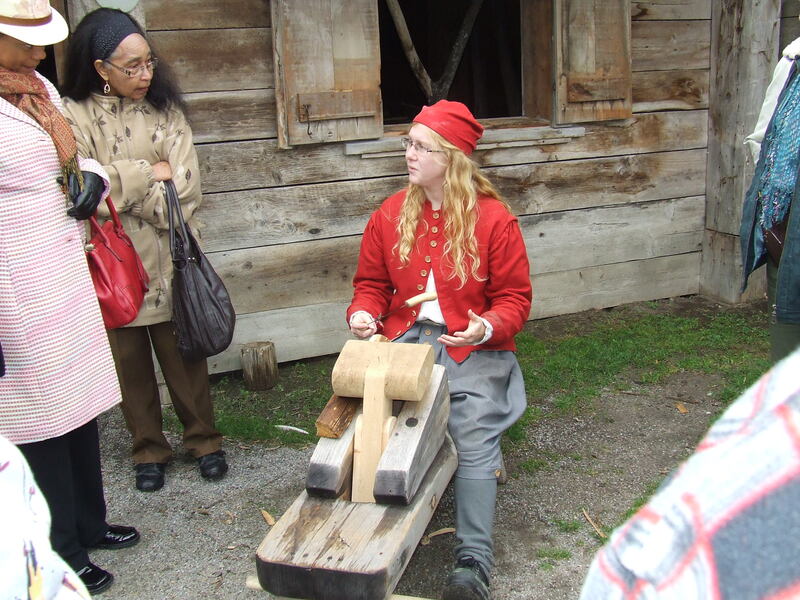 We learned that Brebeuf lived with a native family for months to learn their language. He desired to present the story of Jesus to the people in a way they could understand. the song’s original Huron title is “Jesous Ahatonhia” (“Jesus, he is born“). and in 1926, the English version was transcribed or translated by Jesse Edgar Middleton. Go here to see the rest of the song in both Wyandot and English. This is one of my favourite Christmas carols that I look forward to singing each Christmas season. At the end of the video, the screen magically rolled up and we had an open door to the mission. Emily is not just a tour guide; she’s an amazing historian and so thorough in her explanations that we had few questions. Well. maybe more later. Can anyone who was on the bus trip refresh my memory what this structure was? Sitting at the mission table with our guide. 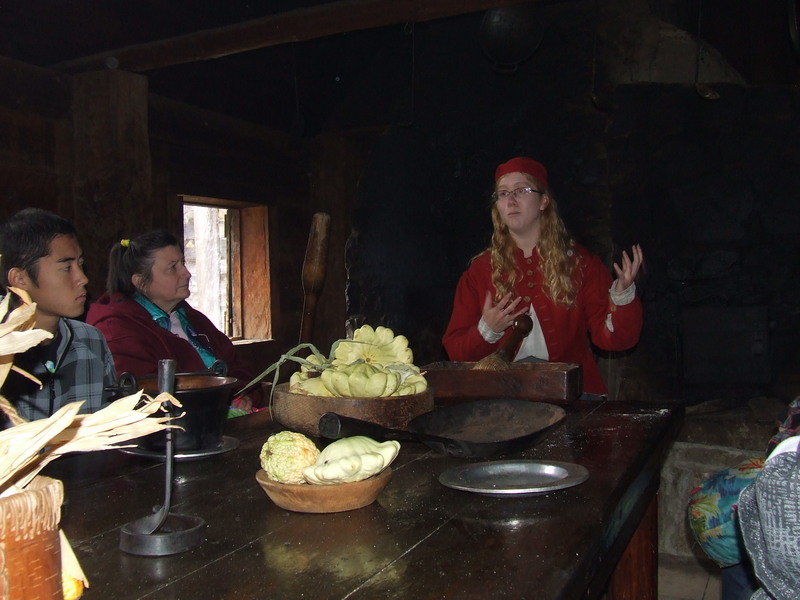 Emily tells us how the French were not so delighted to eat the fare of the Hurons, but grateful that they could learn from the natives of the land how to live in this rugged land. She told us of the French bringing in animals and that they would bring a cow. Rather a striking and humorous image of a cow riding along in one of their very large canoes so that the missionaries and workers could eat more than corn and squash. 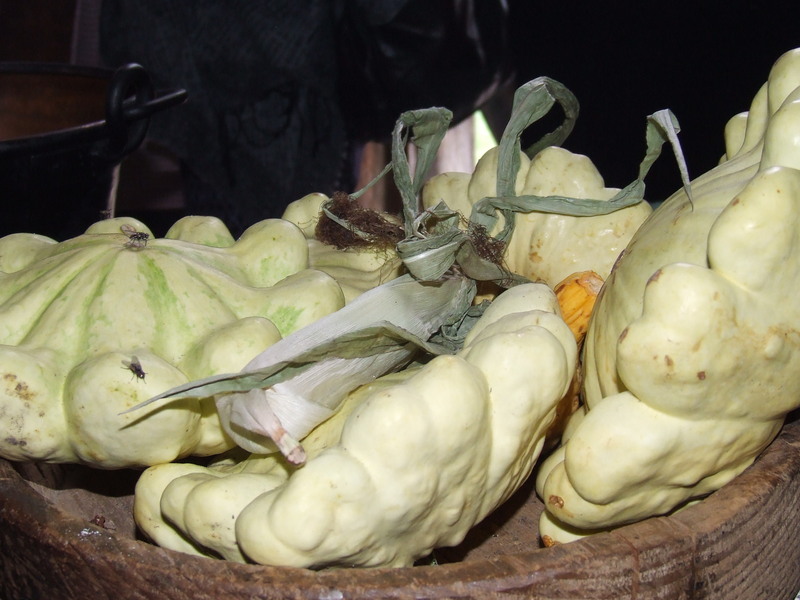 The sort of squash the people would have lived on. Dried food hanging from the ceiling. 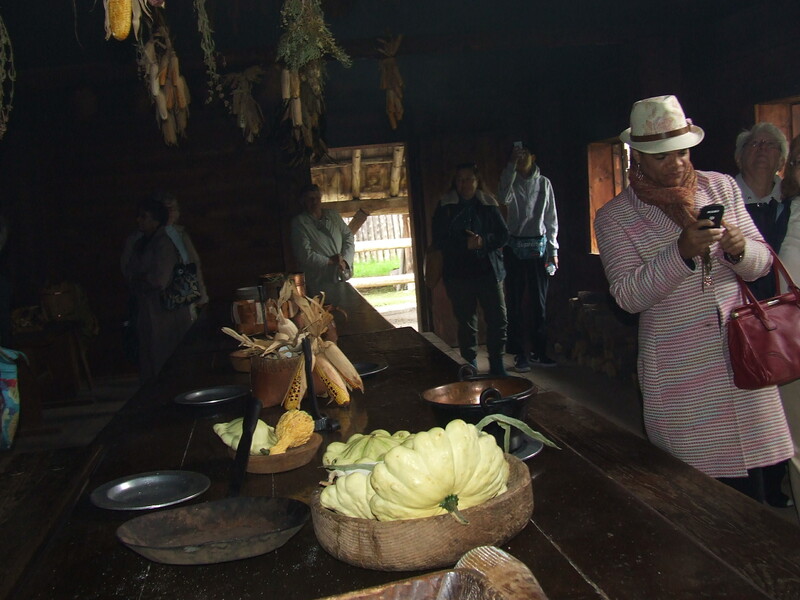 We learned that the Wendat people ate their food plain whereas the Jesuits used spices to flavour their food. 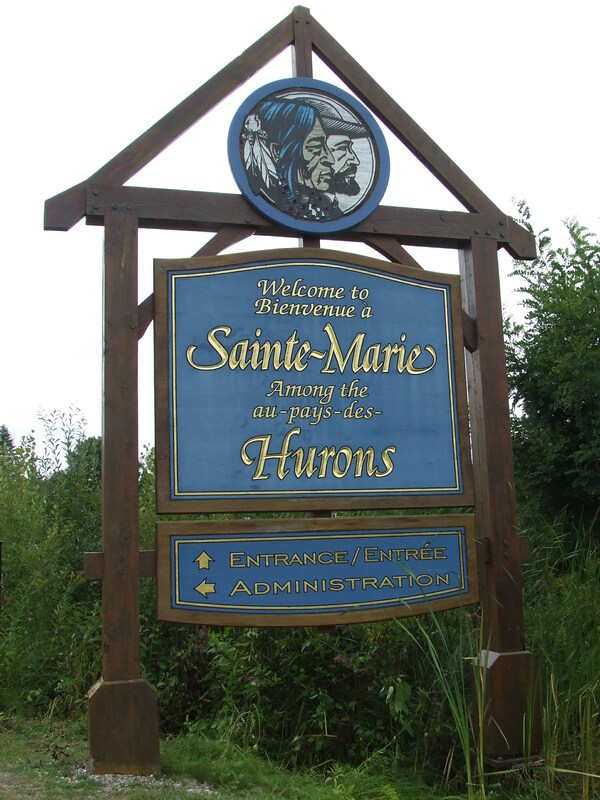 The Huron people did not see why the French would use spices in their food. To them, spices were medicine. Emily telling us about the building where the priests held their silent retreats and prayed. The rooms would have been dark except for the light of candles. 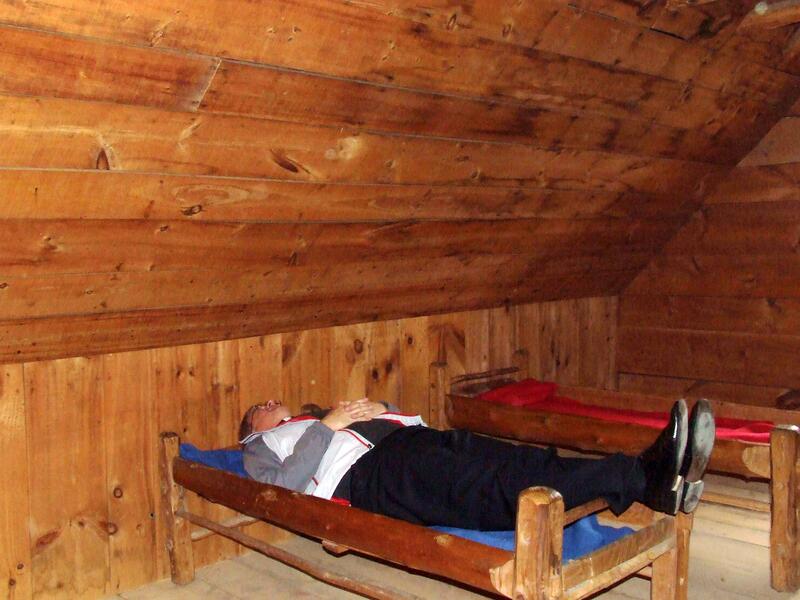 The spaces were small and the beds not so long either, apparently too short for Pastor Peter. By the way this is a working museum. We could try out chairs and beds and sit on benches. 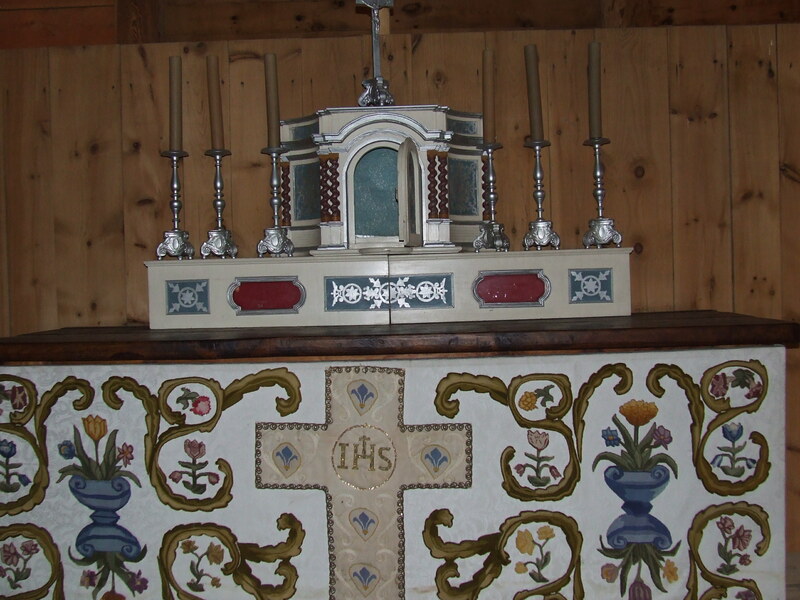 Rather ornate altar in the working chapel where the priests came very early in the morning to stand and pray to God. Not serious as the priests would be. A woman in our group offered to take my picture there so I smiled for the picture. 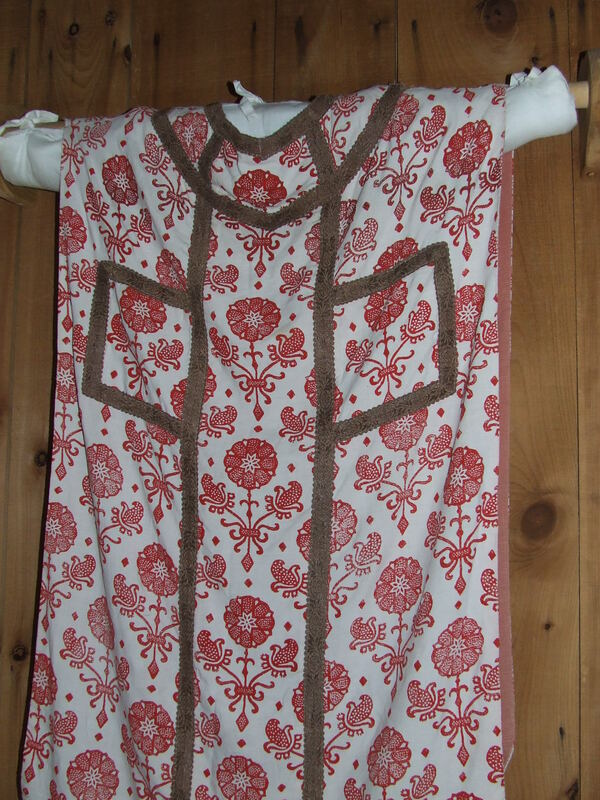 Rather colourful vestments that the priests wore. Our guide showing us how to make cedar shingles for the roof. 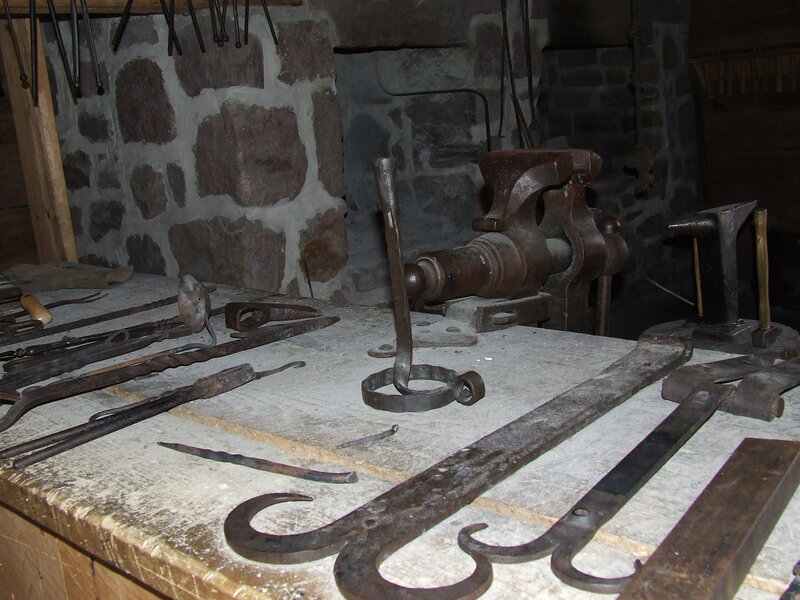 Tools of the tin smith. 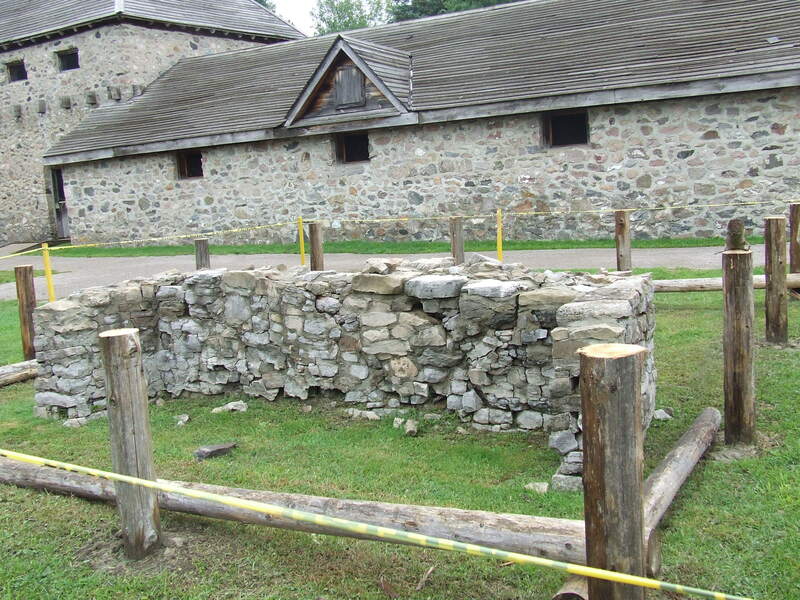 The Wendat were impressed with the iron that the French workers brought and that they could shape and use for tools. 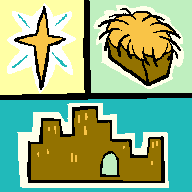 They often traded goods for pieces they could use. Each man carried a certain weight of iron as they came on the trails. Heavy trudging, I think. 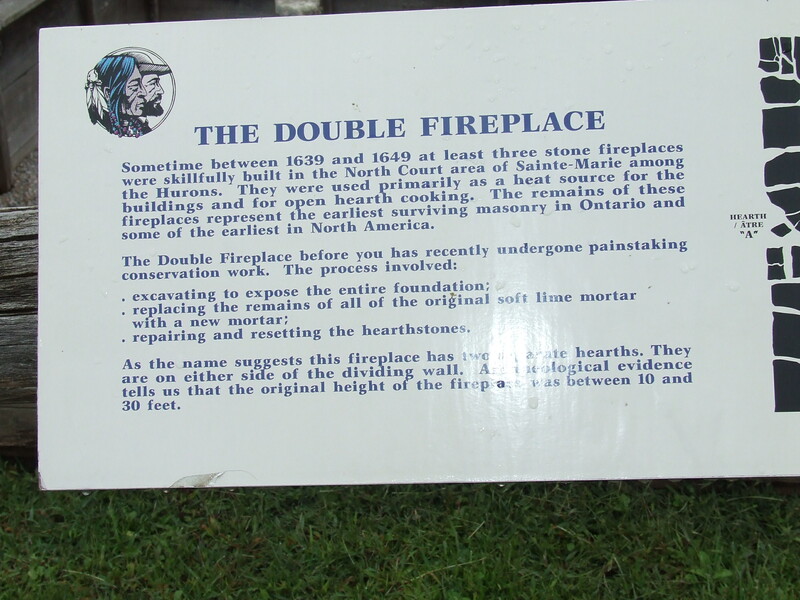 A bit of glare on the picture, but you can still read most of the information about the double fireplace (shown below). Photos by C. Wilker. Use by permission, please.